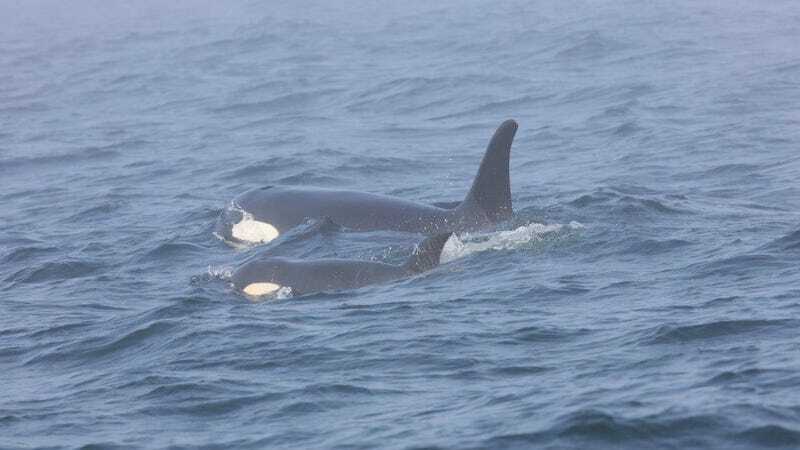 A team of biologists from NOAA Fisheries, Vancouver Aquarium, and other institutions have been tracking the three-year-old orca, named J50, or Scarlet, for weeks. They’re not entirely sure what’s wrong with her, but she’s dangerously underweight and often lethargic. 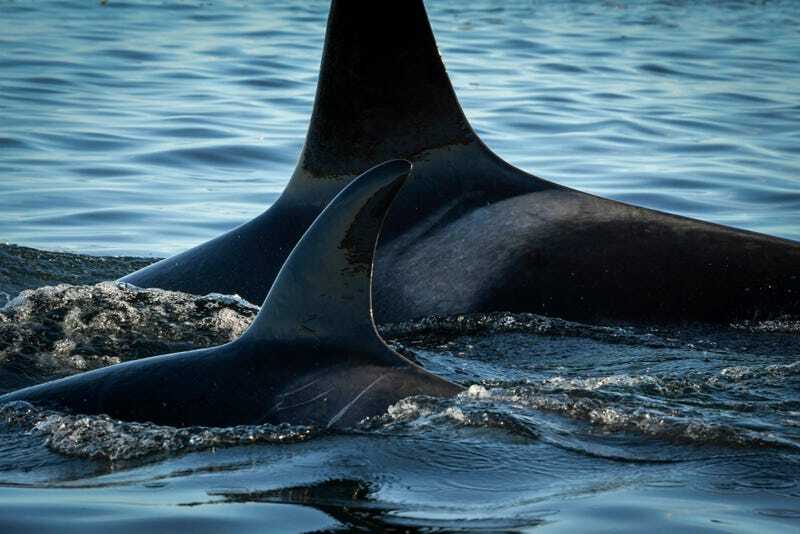 Scarlet is a member of the J-Pod, a group of about 76 critically endangered southern resident orcas, or killer whales. Maintaining the life of each pod member, females especially, is crucially important, hence the extraordinary and unprecedented measure to administer medication. Yesterday, Vancouver’s head veterinarian, Martin Haulena, managed to visually inspect Scarlet from a boat near Washington state’s San Juan Island. With the help of his team, Haulena administered a dose of antibiotics at close range using a dart, as AP reports. 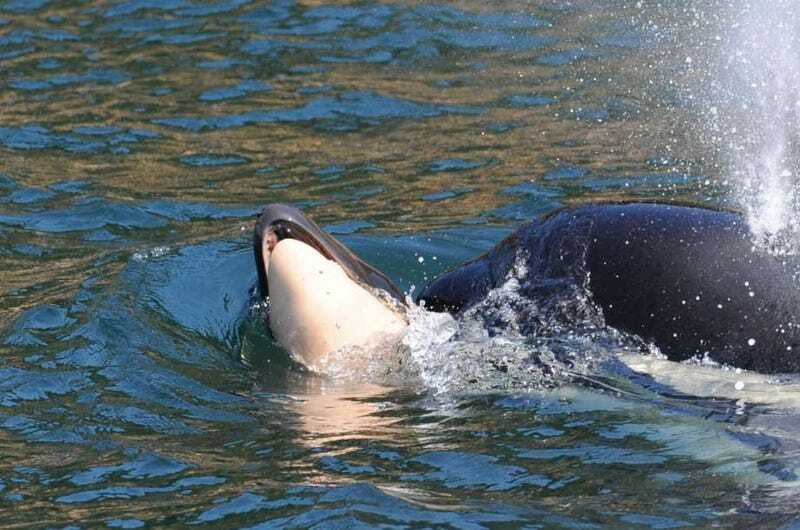 It’s the first time that a killer whale has been given medication while living in the wild, the CBC reports. Other orcas in Scarlet’s pod are not malnourished, so food shortage is not considered the problem. “We don’t actually have a diagnosed pathology other than malnutrition for J-50, so the treatment with antibiotics at this time is prophylactic,” or preventive, Sheila Thornton, a research scientist with Fisheries and Oceans Canada, told the CBC. Looking ahead, the team will continue observations and consider trial feeding as a future route for delivering medications, such as lacing live Chinook salmon with antibiotics or other medicines. This is now the second incident involving the J-clan this summer. An adult female, J35, or Tahlequah, has been carrying her dead calf and continually lifting it to the surface since July 24. Tahlequah tending to her dead calf.